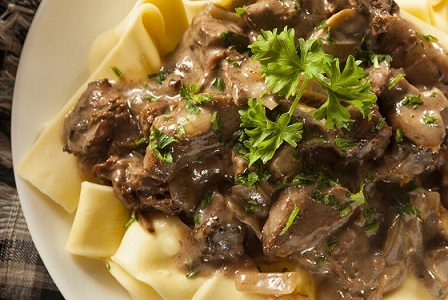 This Beef Stroganoff Recipe : adopting ethnic dishes & making them your own. 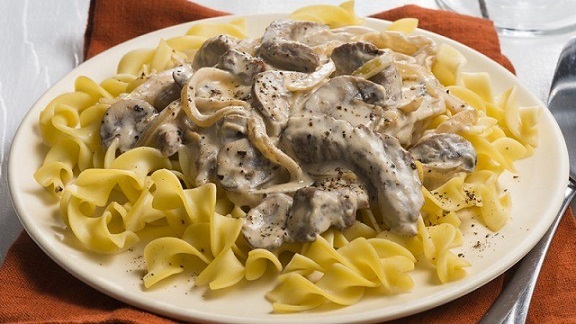 This Beef Stroganoff Recipe is one example of adopting ethnic dishes and making them your own. This classic dish is named after a nineteenth-century Russian diplomat named Count Paul Stroganov. It became popular in America after WWII when returning servicemen brought the recipe back to the States with them. 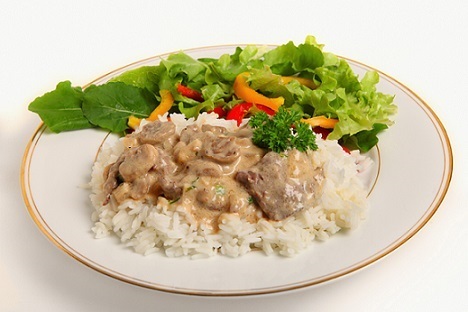 Beef Stroganoff is basically tender strips of beef and usually mushrooms cooked in a sour cream sauce. Of course ground beef will work with this recipe, as well. In Russia, Beef Stroganoff is usually served with (or on top of) French fries, or with mashed potatoes. 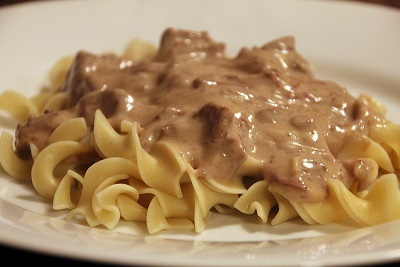 Although undoubtedly good this way, most Americans serve stroganoff over pasta or rice or occasionally over mashed potatoes (my husband's preference...but he is not Russian). Many people I know use ground beef to make stroganoff. They do so because of the cost of beef and sometimes because it seems easier to prepare. And some of these same people and others substitute yogurt or some other product for the sour cream in order to reduce calories. Although these substitutes can result in a flavorful meal, for me these meals are really not quite the same as a real stroganoff. I take a different approach when concerned with the price and calories of a recipe. I make it less often than I might otherwise and I serve smaller portions than I know many people do. So this beef stroganoff recipe still calls for a tender cut of beef, such as tenderloin or at least top sirloin. And I use real sour cream. Preparation time: 30 minutes. Serves 6. For buffet service, combine the pasta and sauce in one pan and garnish with chopped parsley. 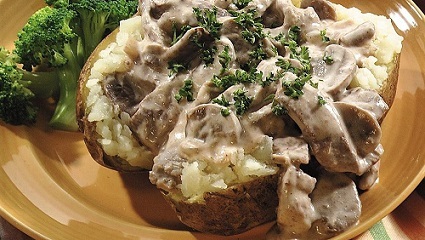 I usually serve my beef stroganoff recipe with a salad and either some wonderful Artisan bread or garlic bread. Enjoy your beef stroganoff recipe and the company of those you share it with. "My father would often work all night and sleep during the day, so for us, dinner might be pancakes, and breakfast might be beef stroganoff."